Last year our old electric mincer finally died, didn’t get round to replacing it. 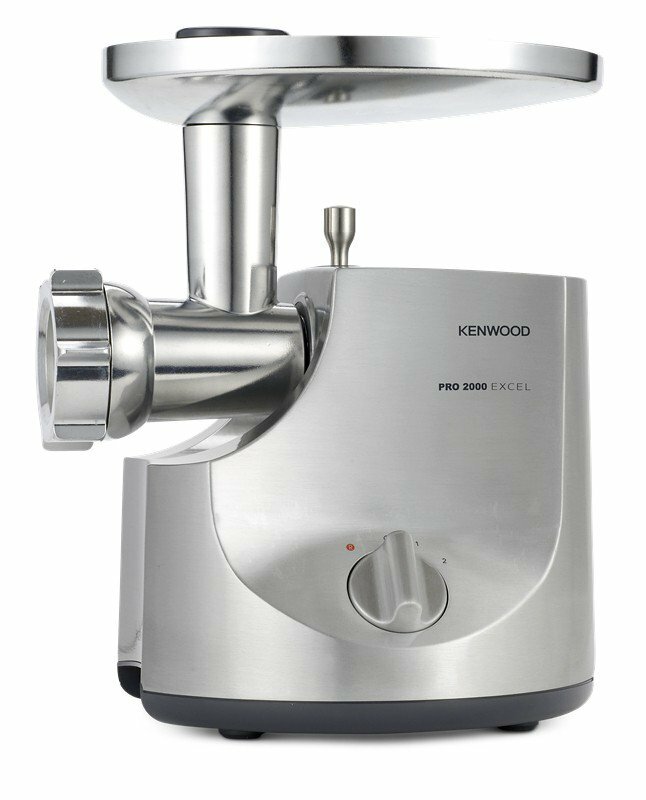 So I bought a Kenwood 2000W mincer from Harvery Norman on a VIP deal for a little over $300 delivered. This morning we minced 32kg of fallow and red venison, and in a production line of me as Butcher-And-Grinder-In-Chief and three sous chefs (and two keen as mustard dustbin dogs for the scraps), we made up heaps of nice fat burger patties using the bite.co.nz recipe which is a real winner (just dropped the parmesan, we don’t need that). We packaged them up into layers in boxes separated by baking paper and back into the freezer they went... in supermarket money for standard grade beef mince thats $480 worth plus whatever the eggs, milk, spices, mustard and garlic costs. The onions, herbs and bread we grow / make ourselves. Makes my eyes water how much beef is these days. Now we don’t notice the difference really between beef mince and venison mince, when we cook up bulk meat sauce we usually mix the two. The venison burgers are bloody good, the kids love ‘em and will eat them for brekkie and dinner quite happily all week, very easy to prepare, just cook them from frozen at 180°C for half an hour, job done. So yeah, just reflecting I guess on how much more of the deer is processed into edible food with a good strong mincer, everything goes in right to the boney part of the ligaments, no hassle having to strip out silvering or tougher parts, in it all goes. Plus it comes with the sausage making tools too. One of the deer in the freezer was a battered old fallow stag who probably wouldn’t have been much chop but as seasoned mince you won’t notice the difference. The new mincer has already paid for itself, I doubt we’d have used a lot of the older venison it would likely have gone to the dogs. If you shoot a few deer and don’t think you’ll likely get through it all, a good mincer is a bloody good investment. Last edited by Flyblown; 24-06-2018 at 05:58 PM. sako75, Dundee, HILLBILLYHUNTERS and 5 others like this. Using the same mincer for 3 years now and it's still going strong. I have made venison mince with a standard food processor, it worked okay but I expect a proper mincer would be faster and handle the workload better. Do you add fat to your mince? I picked up a hand grinder a while back and have tried to make mince a couple of times with venison but always found it cooks really dry, I don't really like fat off venison, tried using fat off the backsteaks of a real good condition spiker way back when I was a young fella and it put me off leaving too much fat on venison anyhow.... yuck! I was thinking of giving the mince a go again but adding some beef tallow? Deer (or other game meat excluding pork) fat doesn’t taste good. A proper burger (in my opinion, and I’m something of an enthusiast) contains only meat and seasoning, the meat ideally with something like a 20% fat content. Venison isn’t ideal, need to add fat. I haven’t managed to find a good source for fat to add to venison mince but I haven’t tried too hard yet. So I just buy beef mince for burgers. I have to disagree we use a recipe from an old Allison Holst book oaty meat balls no fat added and it's awesome never falls apart and so bloody nice. Make them 25 to 30mm thick and never dry. I'll have to dig it out as we are moving house and all things are packed away but I'll try and fish it out. Fallow and Thar fat is bloody nice I reckon. I like it anyway. I always add pork fat to red venison for burgers or meatloaf. If making spag boll or cottage pie I don't add any. Boar Freak, 25/08IMP and Micky Duck like this. veitnamcam and 25/08IMP like this. Bull tahr fat can be super rank, mixed some in with a batch of tahr mince once and it was overpoweringly bad. Summer bull. vinison mince is primo in rice rissotto type meal...if you doing meat balls or patties think of it like steak...anything past medium is BURNT. chock mutton in with venison gives it a bit of fat but nothing beats pork...the flaps off pig (pork belly) are ideal to add to mince...we bought and used a kenwood mixer with mincing attachment for a while but recently finally found a george foreman mincer,its louder but faster,making sausages is piece of cake. if you put a large lidded bucket in freezer and chuck all your bits n bobs into it untill its full then get stuck in and make a batch of mince and sausages you will have a good mix.